Wow! Time just flies by this time of year. We have another Card Concept Challenge for your today. The inspiration photo has some soft colors of beige, yellows, golds and if you look closely even blue. 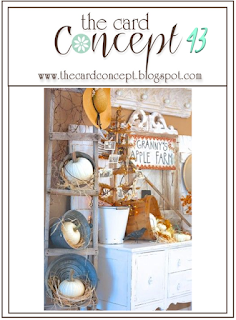 My card is in the Clean & Simple style which is defined here. I wanted to get an apple into my card but that just didn't work out for me so I stuck with the colors. I started with More Mustard Along the bottom and then some Crushed Curry above that. They are a bit close in color so hard to distinguish a change. The next color up is Bordering Blue. I die cut the thanks in both More Mustard and Chocolate Chip and layered them slightly offset. I placed this right along the intersection of the blue and yellow inks. 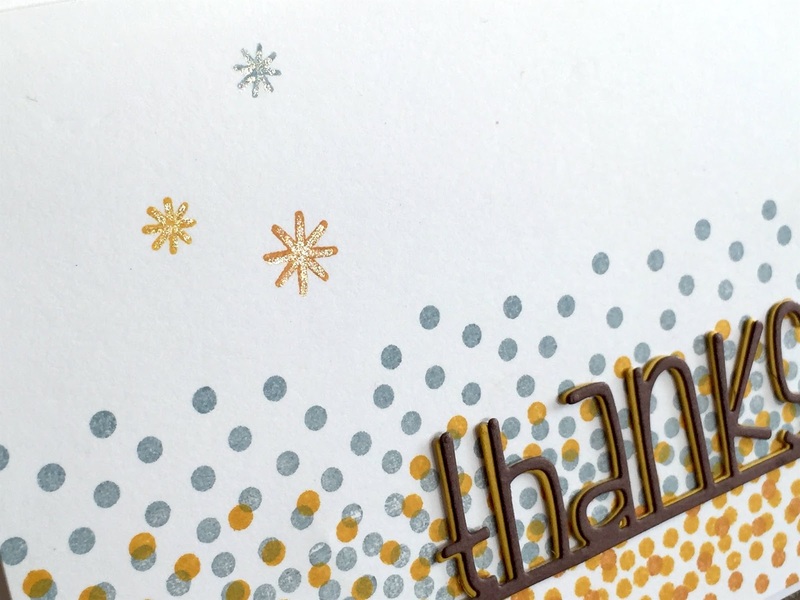 Lastly I stamped a few twinkles going up the card in the 3 colors and added some shine with my Stardust Gelly Roll pen and popped the panel up on foam tape. I hope that you will check out the cards of the rest of the Design Team and then join in with our challenge!! Have a great day! So pretty! Love all those dots and those darling little twinkles. 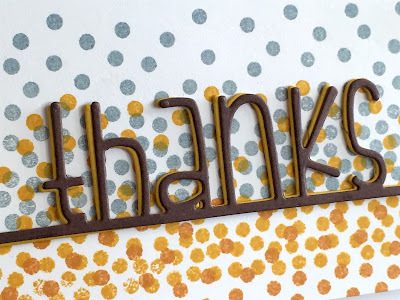 Thanks for letting me Guest with you this month! Love the look of this!! Those dots just make it pop! 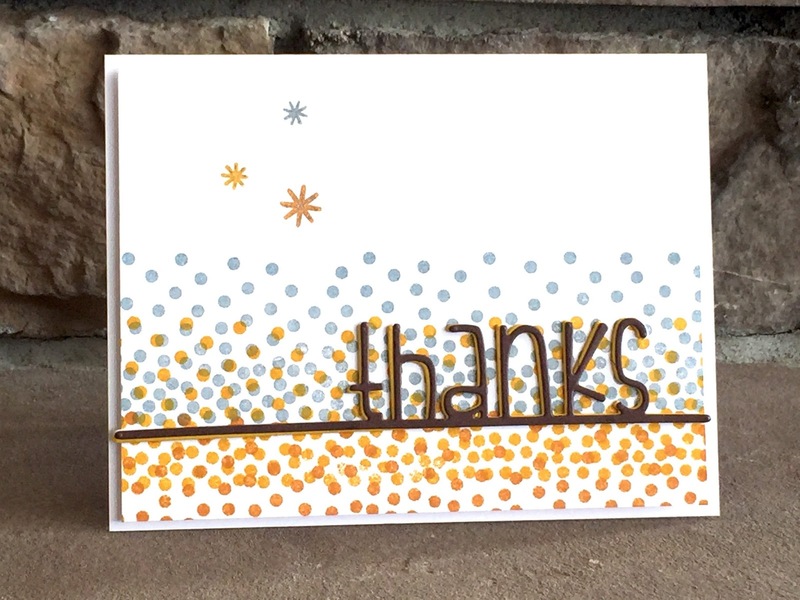 I love the pretty color blend in your dots! It's a beautiful wave of color! That die is awesome, and what a great idea to double it in different colors, Debbie! LOVE this! It looks like a celebration on a card! Beautiful! I love your take on the inspiration photo! Totally sweet and such a great array of colour! Hello Debbie: Thank you so much for stopping by my blog today to leave me your sweet comment, I surely appreciate it. 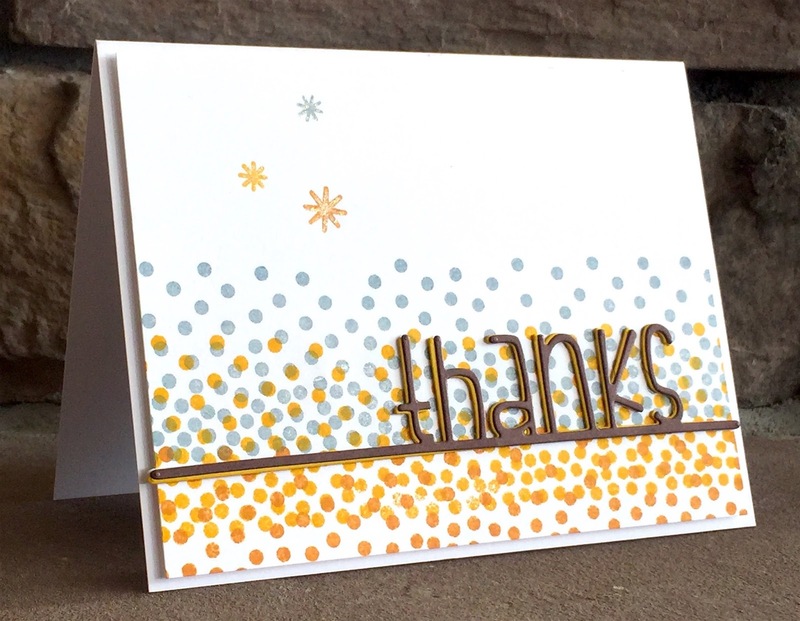 Now, your card is beautiful, I love the way you stamped the dots, like with an Ombre effect, perfect background for your fabulously die cut sentiment. Wow, I love your card SO much! The dot pattern is simply fantastic. And the color gradiant is amazing.